The above words may be the greatest thing ever written by prominent film critic Roger Ebert. To understand why requires a bit of context. In 2002 Ebert was diagnosed with thyroid cancer. Follow-up surgery last fall required a tracheostomy and removal of part of his jaw. These procedures have left him unable to speak and have disfigured his face. Ebert recently made his first public appearance since the surgery at the Overlooked Film Festival in Champaign, Illinois. Before the festival, Ebert wrote that he was told that making an appearance in this condition would attract the gossip papers and invite unflattering photos. Ebert's response should teach all of us something about worrying too much about what other people think. This really speaks to me as triathlon season begins to ramp up. 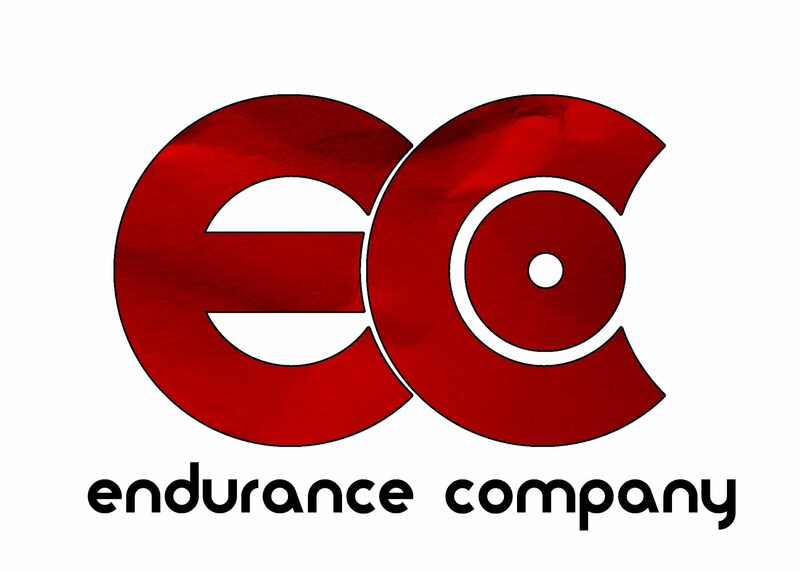 Endurance athletes are notorious for their long list of excuses both before and after races. In the field of psychology this is known as self-handicapping. It is a basic defense mechanism designed to protect our ego, or self-image. It works like this. If I tell my friends/family/training partners about how I've been dealing with a nagging injury and missed two whole workouts last week, then in my mind I have an excuse for not doing well. On the other hand, (the thinking goes) if I do better than people's expectations AND I overcame all these "obstacles" I look so much the better. People do this all the time without realizing it. Problem is, once it is spoken -or even thought- then you are setting yourself up to fail. When the race/training/life/whatever starts to get hard then you've already given yourself an excuse- an easy way out. Across the board most athletes are not primarily limited by genetics, time to train, equipment, etc. They are limited by lack of faith in themselves. So this then is my charge to you. Let go of the excuses. You don't need them. They do nothing but hold you back. People may laugh. They may doubt and criticize. They might call you crazy. If they do, just remember Roger Ebert and his battle with cancer: "Who Cares?" One week out from my season opener triathlon and I finally got to go to Fedex and pick up my Team Race Athlete BMC Time Machine! I was fortunate enough to be picked for the last slot on the team and was therefore last in line to actually get the bike. As far as gear goes, the Team is set! Now all we have to do is live up to these bikes! Actually getting the bike to me was at times almost a farce of miscommunications and delays. I won’t go into more detail because the absolute last thing I want to do here is seem ungrateful. It would be downright insulting to all the other deserving age groupers out there who are making do on the equipment that they have and would love to have a chance like this. 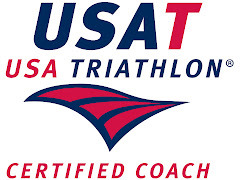 Let me say that the concept behind Team Race Athlete is to put together a team of ordinary age groupers and give them the opportunity to train and race like pros. I don’t think most of us really give that much thought. We see the pros with the tricked out new bikes and gear. The reality is there are only a few top-tier pros that have enough clout (and marketing potential) to get the newest stuff right away. I know for a fact that there are other BMC sponsored athletes that are still waiting on bikes while our team is now good to go. If you are not one of those top-tier pros it is a somewhat common thing to get your new bike, wetsuit, etc the week before (or after) a race. Suffice it to say that the life of a pro triathlete is far less glamourous than most people think. Now an age grouper being treated like a pro? That is just as glamorous as you think! On to the bike! Team Race Athlete has been outfitted with tricked-out BMC TT02 time trial bikes. These bikes are similar to the uber-expensive all-carbon TT-01 that Floyd and the rest of the Phonak team used in the Tour last year. The measurements and aerodynamic profiles are the same as the TT01, this model uses an aluminum front end mated to a carbon fiber rear end. Zipp provided us with lots of go-fast parts. I opted for a set of tubular 606s (more on this in a later post). Also from Zipp is an ultra-lightweight crankset and the very sleek Vuka aerobars. Cyclops provided us with their newest wireless Power Taps which are built into the rear Zipp 808. The rest of the parts spec is Dura Ace. Each of us used our own saddles and pedals. I love my Selle San Marco Aspide Tri Gel for long course racing. I am also a long-time devotee of Speedplay pedals. So what do you do when you get a brand new bike? Well you ride the hell out of it! There is definitely an element of “living up” to an awesome bike like this. With that in mind I headed out for my longest ride of the year. It just so happened that it was also my first ride on the BMC. This could be a risky move, but I was confident in the fit I did back in January with Tim Troha of Colorado Multisport. So on Saturday I did 95 miles on my new bike. Initial impressions?It rides very nicely- BMC may have nailed that tricky balancing point of stiffeness vs. ability to absorb road shock. Tim's fit was spot-on. I was able to ride 95 miles in relative comfort right out of the box! I will wait until I have closer to 1K miles on the bike and a few races before reporting back with a more detailed review. A big thanks to BMC, Saris, Zipp and Colorado Multisports for making this team bike happen. Thanks to Ryan at Colorado Multisports for building, packing and shipping the BMC. Finally, a big thanks to Stu who seriously lost sleep over me not having the bike and went above and beyond to get this bike to me! You guys are great! 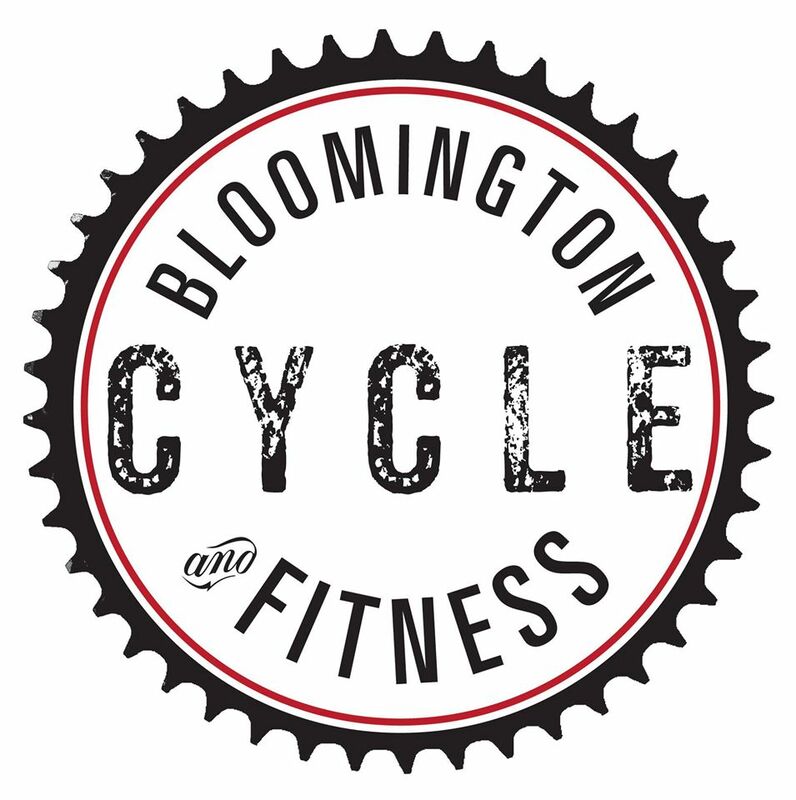 1 week until local season opener, 2 weeks until Wildflower! Team Sweet adds to Roster! It’s shaping up to be a busy fall. September will see the entire Race Athlete Team racing together at Ironman Wisconsin. My brother gets hitched in October. 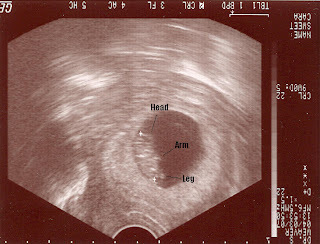 But, the REALLY BIG NEWS is that Cara and I will be expecting our first addition to the family in early November! Those of you that are better than I at math have probably already figured out that this equates to Cara being 11 weeks along. Most of the early risks have been passed successfully and we’ve even been in for the first ultrasound! Through the wonders of Doppler, we recently found out that the little one’s heart rate is at 172 bpm! Now unless there is some crazy interval training going on in there, this is just too high for a Team Sweet recruit. I don’t know if coach Mike has ever taken on an unborn client, but I plan to find out! Seriously, though the heart rate is normal and the old wives tale is that a slightly higher heart rate indicates a baby girl! I find that I have absolutely no preference one way or the other. I was an English major and Cara is currently studying linguistics as part of her Master’s in Spanish. Needless to say, we are very analytical when it comes to the naming process. Nothing is set, but the current top of the list is Lorien for a girl and Jonah for a boy. (Stu has been ruled out on principle alone!). First babysitting rights will go to whoever correctly identifies where the name Lorien comes from! I keep using triathlon and training references in this post, but it just doesn’t feel right to me. Something doesn’t ring true. The problem is that triathlon is just one tiny part of my life. An important one right now, for sure, but still tiny in the big picture. Finding out that I will be a father in a few months completely dwarfs everything else. So far I am finding the whole experience to be very centering- it really has helped to bring my priorities into focus. I love chess. I can enjoy card games and board games, but there is something about that whole luck of the draw thing that drives me nuts. Chess is pure skill. No excuses. A bad move is a bad move. The fascinating thing is that a chess master will intentionally make a bad move to trip up the opponent somewhere further down the line. I am definitely not a chess master. Bike racing is the chess game of the endurance world. Very little is left to chance. Unless you are strong enough to contemplate a solo breakaway, bike racing is almost the complete opposite of a non-drafting triathlon event. We triathletes work very hard to expend exactly the right amount of consistent energy during the bike leg. A good triathlon bike leg is steady the whole way. Most road races are anything but steady! 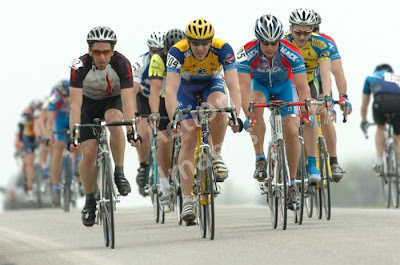 As part of my pre-season training, I hope to get in a few bike races. 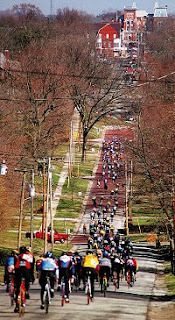 Hillsboro Roubaix was my second-ever bike race. 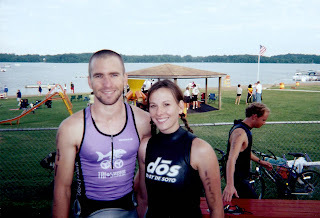 A group of four local triathletes –myself, my brother Andy, C.D. and Brian- decided that we would go race together and see if we couldn’t hang with the roadies and maybe even make them suffer a bit. 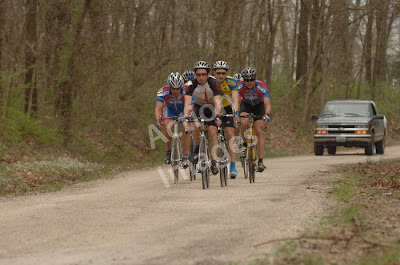 The Hillsboro Roubaix course was outstanding! Hillsboro is situated between St. Louis and Springfield, IL. The 22 mile course (the cat 5 riders did two loops) featured a couple of good hills, twisty rough roads, heavy winds, and -like its namesake- even a couple miles of brick cobbles. It was my first race in the new Race Athlete jersey and I figured it would pretty much go unnoticed in an Illinois bike race. I was wrong there! A triathlete named Rebecca who races for Team Kenda spotted the jersey and introduced herself. Very cool! The triathletes discussed a few strategies ahead of time, but mostly we knew that if the peloton stayed together and it came down to a field sprint, we’d be sunk. The general game plan was to keep the pace high on the first lap and keep attacking the pack until something stuck. The temps were decent at the start (low 70s) and we rode pretty easy for the first 4 or 5 miles. Because of the high winds, no one wanted to leave the protection of the pack. The tri geeks started upping the pace and throwing in some attacks fairly early on. Unfortunately something happened to our strategy of attacking in pairs and there were a number of solo attacks that didn’t do much to the peloton, but gave us a heck of a workout! I think we were successful in pushing the pace a bit the first lap. I spent quite a bit of time at the front of the pack –and off the front- doing my part to keep the pace up. Most of the way through the first lap and the peloton was mostly intact. At this point C.D. threw down an absolutely huge surge. One guy went with him and then Brian and I bridged up to him. This was finally enough people off the front to make the peloton worry a bit. Other than the finish, bridging up to C.D. was the hardest that I worked during the race! Nice move man. By the time we re-grouped off the front, we were booking and the peloton was stringing out behind. We went easy through the neutral feed zone and then back in town we hit the two biggest hills fairly conservatively. As we finished lap one, I was leading through town and pulling hard, but not attacking. Oddly enough, a group of 7 riders managed to maintain the earlier gap on the rest of the field. There actually wasn’t another big move that put us at the front. We organized quickly and started a rotating paceline. Really good coordination and communication among our little group. We were running scared and working hard, but pretty much everyone was sharing pulls. Started to feel like a hard time trial for awhile since the pace was now very consistent. At a few points I watched my heart rate creep up over my lactate threshold and I was worried that I couldn’t hang. I stuck in there and the group whittled down to 6. There were two riders from Team Mack, two from Robbie Ventura's Vision Quest team, myself and a guy from Southern Illinois University. The six of us stayed clear the entire lap. I would later find out that the remnants of the peloton never really re-organized. Unfortunately, none of the other tri studs made the break, but I think our general strategy of keeping the pace high worked to some degree. Nearing the end of the second lap was awesome. I knew that I had a top 6 placing secured. About 3 miles from the finish everyone sat up and started riding easy. I felt like I was in a big Euro race and we were all catching our breath for one last round of attacks. When we hit the big hills again, I thought I was recovered and ready. I'm better on the hills than the flats, so I didn’t think it would be a problem. Wrong. Very wrong. Not only could I not attack, I let a small gap form. That gap got a little bit wider on the second climb. I did my best to bomb the hills and close, but was working alone by now. (Breakaway group, middle of second lap). So in the end, I didn’t get to contest the sprint. If I had managed to hang in there, I have this suspicion that the results probably wouldn’t have been much different. I finished 6th overall. Results here. I think I will take this a good sign that coach Mike's training is paying off since the bike leg is my weak tri discipline! C.D. came in 10th after soloing a good portion of the second lap. I definitely worked harder on the first lap than anyone else in the break- so my legs were pretty fried. I like to think that all my work the first lap helped the break to succeed later on. But what do I know? I’m still a tic-tac-toe player amongst chess masters!